People working in the trucking industry say a shortage of drivers is looming larger than ever and freight and logistics companies say they can't fill positions as fast as baby boomers are leaving them. Marc Decarie, company director of Lexon Transport, an Ottawa-based transport company, has more trucks than drivers. "We've got six trucks right now without drivers because we can't find anybody to put behind the wheel," said Decarie. Decarie has himself had to jump behind the wheel several times this week to make sure the auto parts, steel and building materials were delivered on time. He said part of the problem is that the career no longer seems glamorous or mysterious to young people. Decarie has run out of ideas on how to attract new blood and driving schools are facing the same problem. 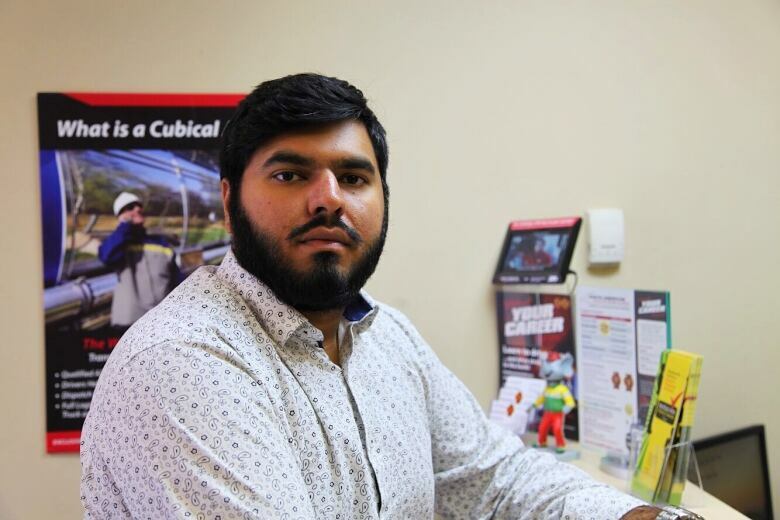 Westchester Logistics had a contract to deliver ice-cream throughout central Ontario, but they didn't have drivers. In response, Westchester founded the North American Transport Driving Academy that now has three campuses across eastern Ontario, with a fourth planned. But they still can't meet the demand for drivers. "When was the last time you were at a party and a parent bragged that their kid was becoming a trucker?" asked the academy's founder Ben Santucci. "All trades are facing the same dilemma," he said, explaining the demographic crunch facing the trucking industry. The academy gets regular calls from companies desperate for its graduates. 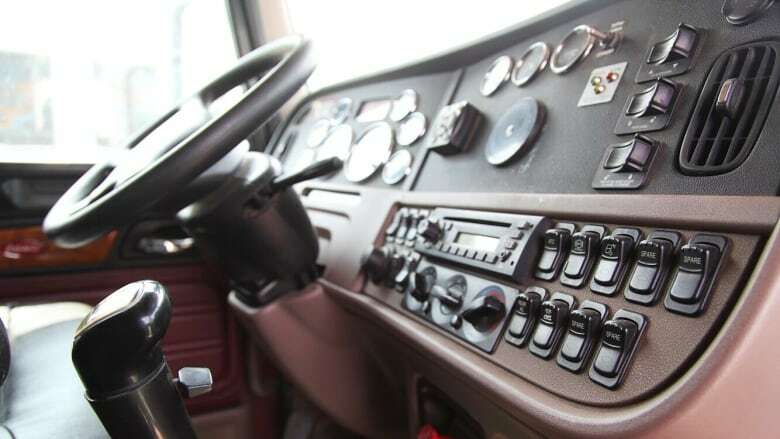 A study commissioned by the Canadian Trucking Alliance revealed the trucking industry will be short as many as 48,000 drivers by 2024. And industry studies suggest the average age of the Canadian truck driver is 48. Ayaba Sena may be the face of trucking's future. The 20-year-old woman currently works at Tim Hortons, but is looking for a change and for insulation from the insecurity of short-term jobs. On Friday, she was one of the prospective truck driving students visiting the driving school, meeting the instructors and going for a ride in an 18-wheeler. It's a career her older brother suggested she check out. 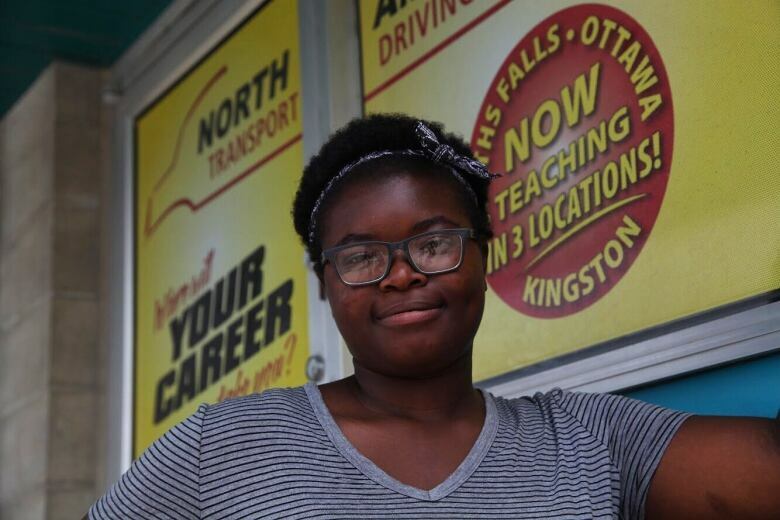 "In the future ... if I want to change careers, I could become an OC Transpo driver, a school bus driver, I could drive any vehicle known to man, so why not?" said Sena. Sena counts the apparent complexity of the cockpit and the nearly $7,000 in tuition that she'd spend to earn her licence among the disincentives. But still, for the woman who one day dreams of working as a paramedic, the AZ license she could earn as a truck driver would get her past one of the eventual hurdles in her path. She admits she could be part of the next generation of truck drivers. "You're free — you're working but you're free, you're a free person."